Today after spending a lovely day out I couldn’t wait to get back home to try my new skirt out from Zara. 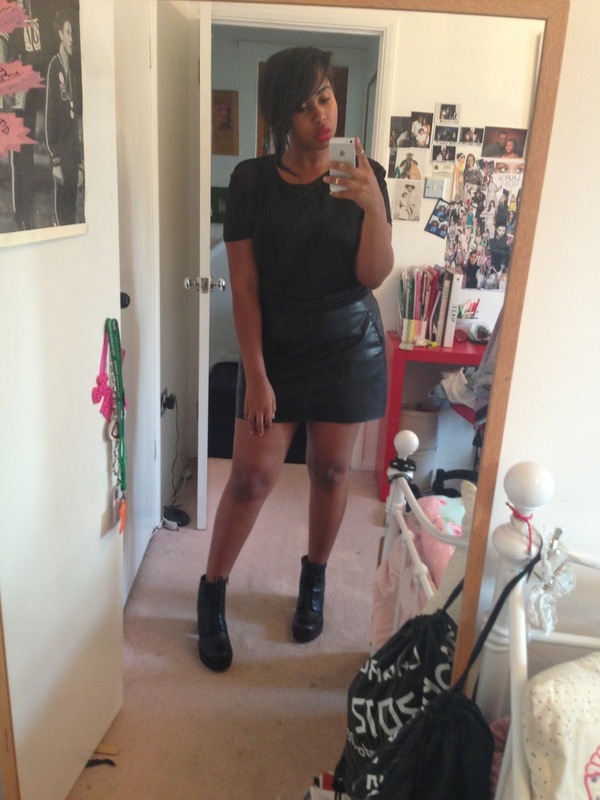 The black leather mini skirt was £29.99 but I was lucky enough to get it in the sale for £12.99. I teamed up the leather skirt with a black top from Primark which has a fishnet on the shoulder and my gorgeous leather boots from Urban Outfitters. I had to put on my Mac red lipstick (even though I was only trying on the outfit – don’t judge me). I’m sorry the pictures aren’t incredibly clear.. 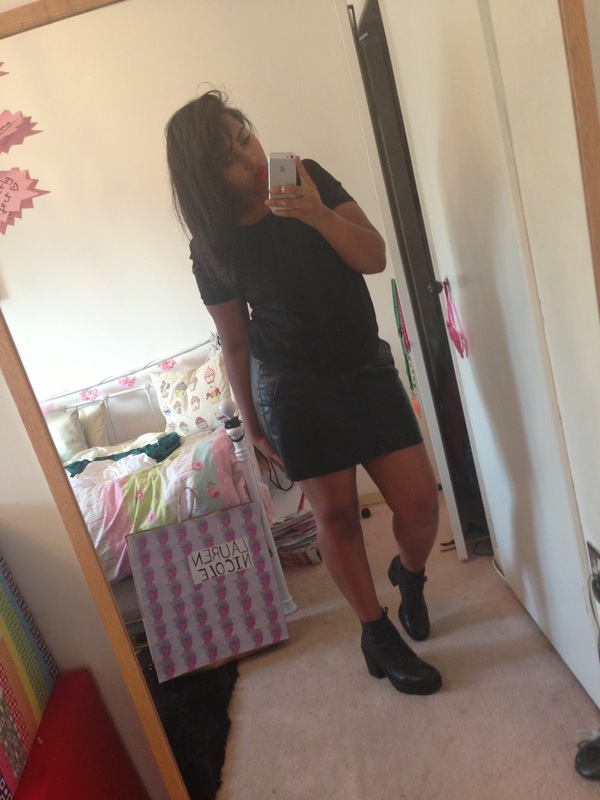 Skirt, £12.99, Zara; top, £4.00, Primark; Boots, £80.00, Urban Outfitters. Tell me what you think of today’s little dress up below. Next Post Shoes Shoes Shoes.